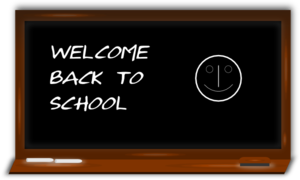 January 4, 2016 -Welcome back to school! 4. Students are expected to complete all classwork and homework. 5. Students are expected to follow school and classroom rules. 6. Students are are expected to be respectful to teachers and staff. 7. Students are expected to used appropriate language. No cursing allowed! allowed to leave the building or to walk around the building. Students were introduced to the staff at the school that are here to help them. We look forward to working with parents to ensure that students are adhering to the expectations listed above.